An important role for cysteines in many proteins is to provide ways of generating covalent linkages (disulfide bonds) that add stability to many exported and cell envelope proteins in bacteria. 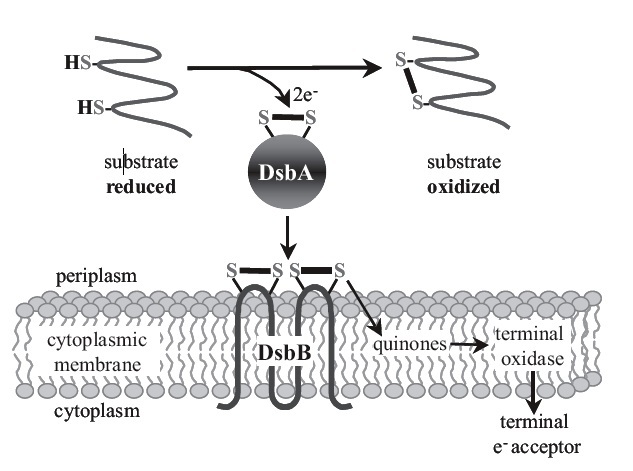 We have defined two enzymes (DsbA and DsbB) involved in disulfide bond formation in the bacterium Escherichia coli and characterized the mechanisms of action of these enzymes. We have analyzed to other bacteria and discovered a novel pathway in certain groups of bacteria, including Mycobacterium tuberculosis. These latter bacteria have DsbA, but use a different enzyme from DsbB in disulfide bond formation. This enzyme is a homologue of a human enzyme involved in blood clotting, vitamin K epoxide reductase (VKOR). 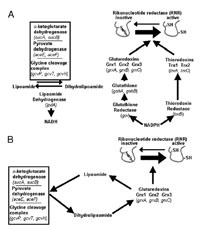 Using mutants of E. coli that are deleted for genes encoding DsbA or DsbB, and, therefore, cannot make protein disulfide bonds, we have evolved bacteria to utilize alternative pathways for this process. This has revealed numerous ways in which mutants can generate alternatives. We have also generated mutants that are defective in the cytoplasmic pathways of E. coli that are needed to reduce the cysteines of important enzymes such as ribonucleotide reductase. 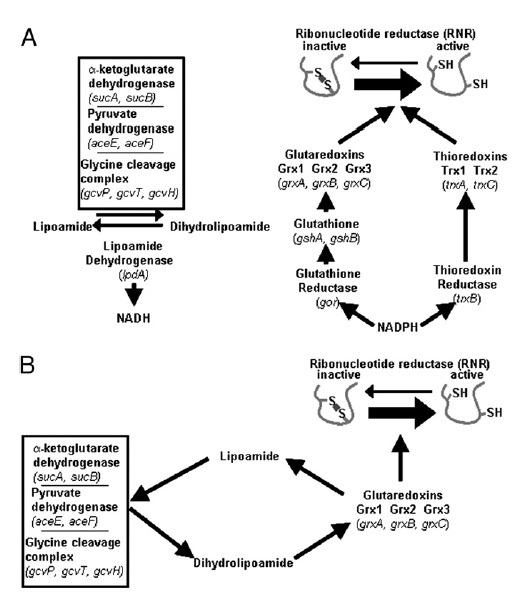 Again, we have evolved E. coli to generate novel pathways of reduction. In both these studies, we discover new potential functions of proteins and reveal an extraordinary evolutionary plasticity of the bacteria. 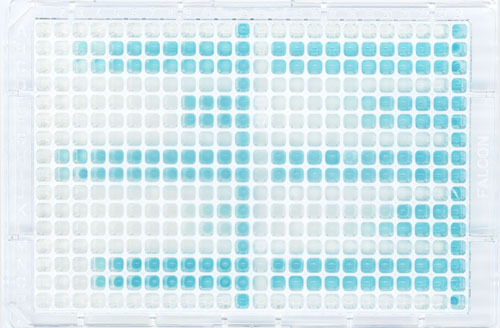 We have developed a highly sensitive assay for the formation of disulfide bonds in E. coli. Since the VKOR of M. tuberculosis and the DsbBs of bacteria such as the Pseudomonads, Acinetobacter and Klebsiella all will complement an E. coli mutant lacking DsbB, we can do high throughput screening with these various foreign proteins acting in E. coli. A number of compounds obtained already may be useful for antibiotic development and also for studying the mechanisms of action of these enzymes.